Due to our current high volume sales, our inventory changes quickly and frequently. Please contact us to make sure the vehicle you are interested in is still available. Special Internet Pricing requires consumer to finance with dealer offered financing. 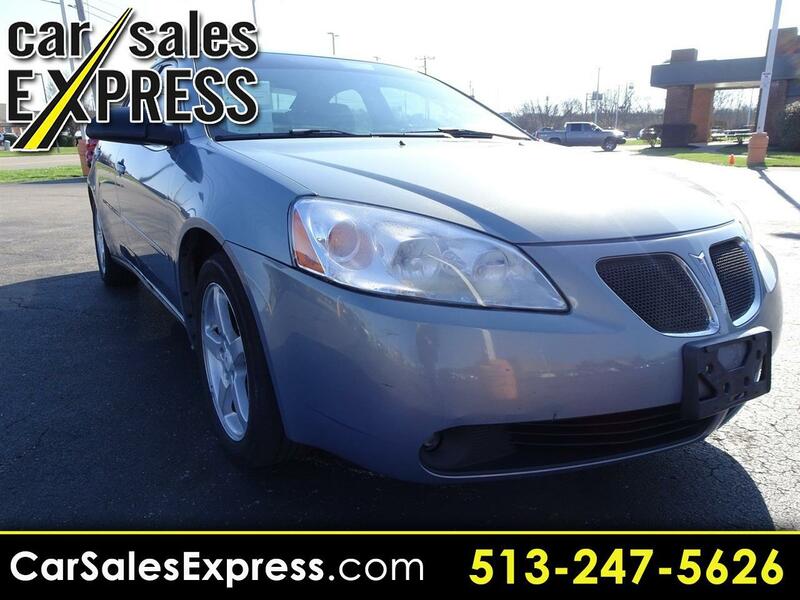 Visit Car Sales Express online at www.carsalesexpress.com to see more pictures of this vehicle or call us at 513-247-5626 today to schedule your test drive. We pride ourselves on market value pricing which allows for a fast, friendly, no haggle purchase. Please make sure to call for availability as our inventory frequently changes. Special Internet Pricing requires consumer to finance with dealer offered financing. *The advertised price does not include sales tax, vehicle registration fees, finance charges, documentation charges, and any other fees required by law. We attempt to update this inventory on a regular basis. However, there can be lag time between the sale of a vehicle and the update of the inventory. EPA mileage estimates are for newly manufactured vehicles only. Your actual mileage will vary depending on how you drive and maintain your vehicle. Before purchasing this vehicle, it is your responsibility to address any and all differences between information on this website and the actual vehicle specifications and/or any warranties offered prior to the sale of this vehicle. Vehicle data on this website is compiled from publicly available sources believed by the publisher to be reliable. Vehicle data is subject to change without notice. The publisher assumes no responsibility for errors and/or omissions in this data the compilation of this data and makes no representations express or implied to any actual or prospective purchaser of the vehicle as to the condition of the vehicle, vehicle specifications, ownership, vehicle history, equipment/accessories, price or warranties. Message: Thought you might be interested in this 2007 Pontiac G6.